Take Fluffy and her lead and Go Walkies! With her all new wagging tail, Fluffy loves her walkies more than ever! Watch her walk along with excitement and see her little tail wag and light up lead glow! 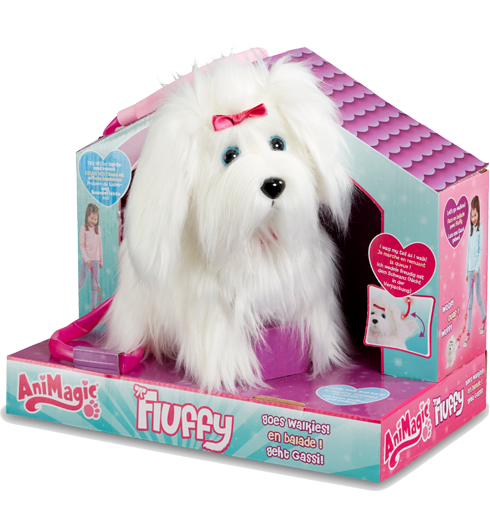 Watch Fluffy move along with excitement and see her tail wag and light-up lead glow. Hear her bark happily!